With any sports bike offered by a manufacture there is someone out there who wants to improve it. This is the case with Paul Dunstall. 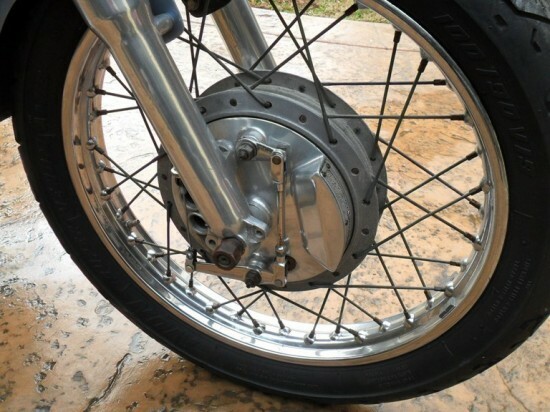 He started as a club racer, started to produce his own race ready parts, and by the mid ‘60s was the go to guy to make your street bike much more then the bike that rolled out of the factory. 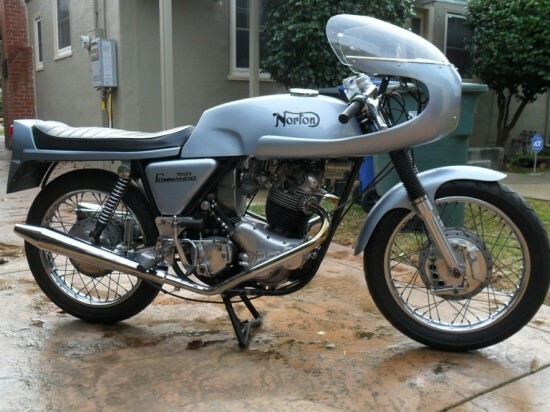 This Dunstall Norton offered on eBay now is a nice looking representation of effort of Paul at the turn of the 1970’s. Bike runs good, but does wet sump. I have two anti-sump valves installed, but I still get smoke from time to time, out of the left hand side, when starting. Could need valve guides, I’m not sure. Mileage is unknown. I noted 85 because that’s what the speedometer reads since it was rebuilt. If you were to walk into your Norton dealer in 1970 you would have been able to get a couple different styled Commando’s. Performance off the showroom was near to 58hp at 6800rpm from the 745cc engine fed by 30mm Amals. Before 1973 you could order Dunstall kits which would address braking, exhaust, engine performance and styling. You could choose the full meal deal, or just add some mufflers. 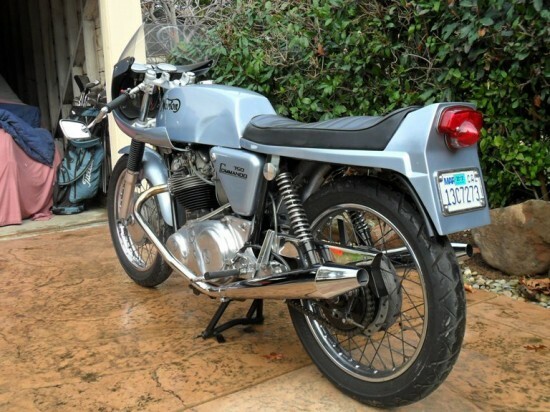 After 1973 Dunstall shipped complete bikes to US dealers. He had also started producing Honda and other Japanese performance parts. When you hear someone say Dunstall, you have to wonder to what extent they were able to take their bike. Dunstall was closely linked to the launch of the Commando. At the launch there were brochures listing custom and conversion or tuning kits. 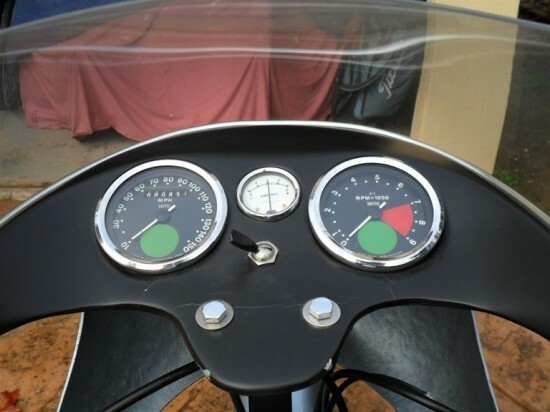 The conversion kits provided three levels of tune and resulted from collaboration with Dunstall. 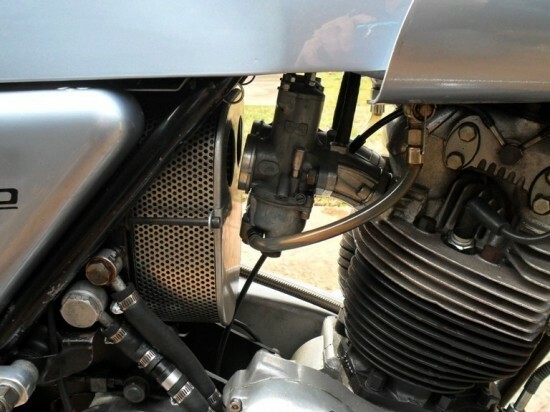 The first stage raised the compression ratio to 10:1 and included a pair of long tapered megaphone shaped silencers to push the speed up to 120 MPH. Stage two brought in a new camshaft, exhaust pipes, inlet tracts and inlet valves to go to 130 MPH. 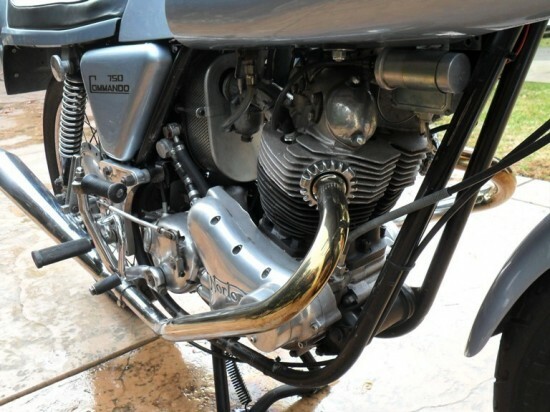 Stage three added a hotter camshaft, racing exhaust system with megaphone, bigger carburettors and a further 7 MPH. All the kits included various other odds and ends, but in the end, none were ever produced.